Casio PX5S Review: Is It Still An Optimal Option For You? 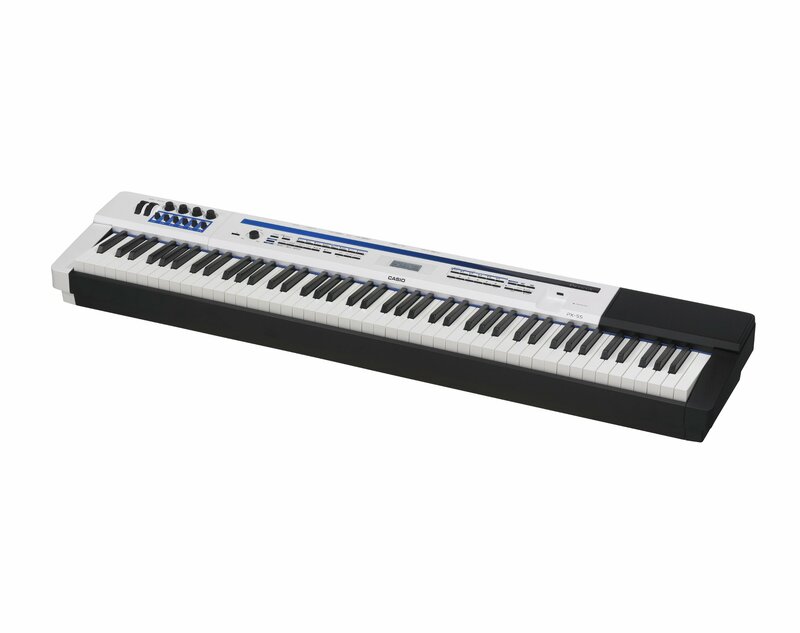 The Casio PX5s Piano’s price is approximately a thousand dollars. Is it really good in this price range? Many people doubt about the quality of the PX5S piano when they look at its price. But, that price is actually much more modest in comparison with what this instrument provided. The high-quality sound and voices sound professional make the musicians all around the world impress. To help you have a better view of the PX5S, we have analyzed and dissected all features related. Continue reading our Casio PX5S review to know more! 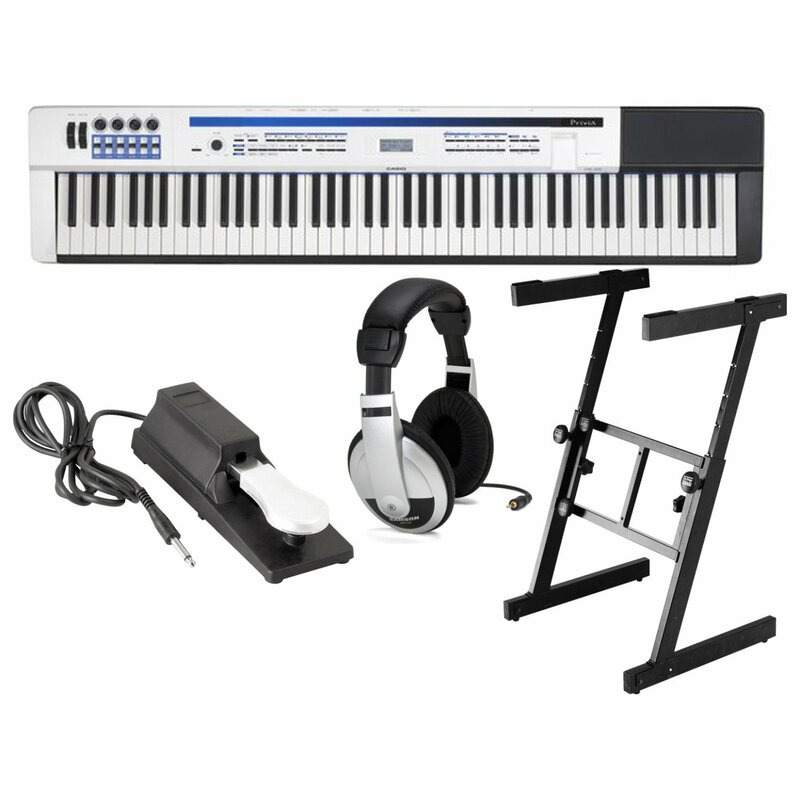 The Casio PX5S Piano creates a difference in the price, based on the sound system. 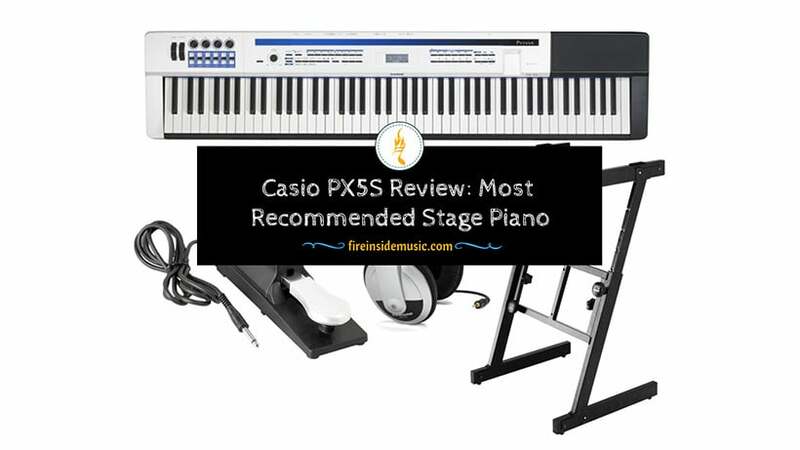 The Casio applied the advances of the study and technology to the parts of the PX5S that makes the AiR sound of the PX5S attain quality and realism. We love lossless compression built in the PX5S and impress with the sound produced as the originals. The authentic grand piano sound is reproduced with a professional nuance. There are all 4 options: lid removed, lid partially open, lid opened, and lid closed. It combines with the line AiR system to bring realistic sympathetic harmonic resonance. The key to the quality AiR sound system is multi-dimensional mapping. It includes essential factors such as timbre, volume, time elapsed, and pressure when striking. You cannot ignore these if desired the highest quality of tone reproductions. 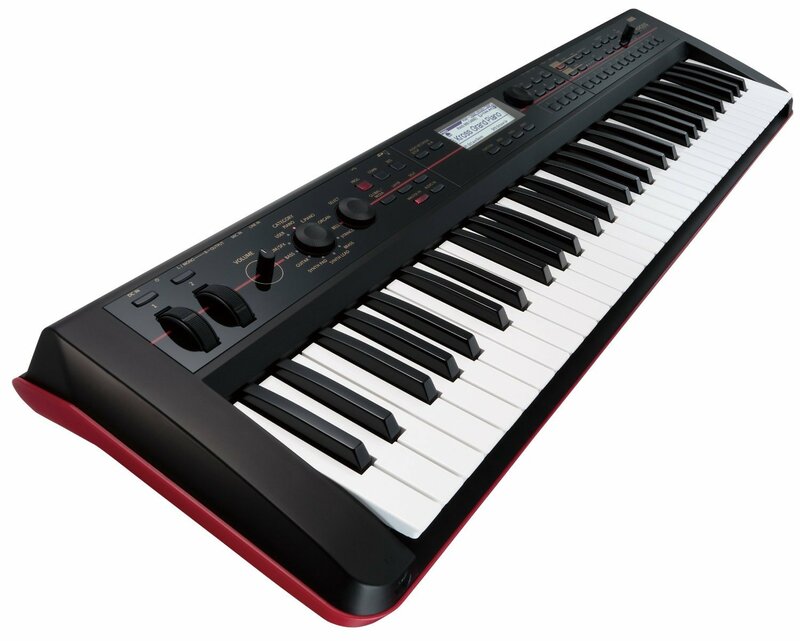 Providing up to 720 tones, the Casio PX5S creates a lot of space so that musicians can tinker and customize their own. Although a variety of sound is very impressive, you also need to note that you may stick a fundamental set of sounds and tweak them. Don’t worry about this when the PX5S features the customization. 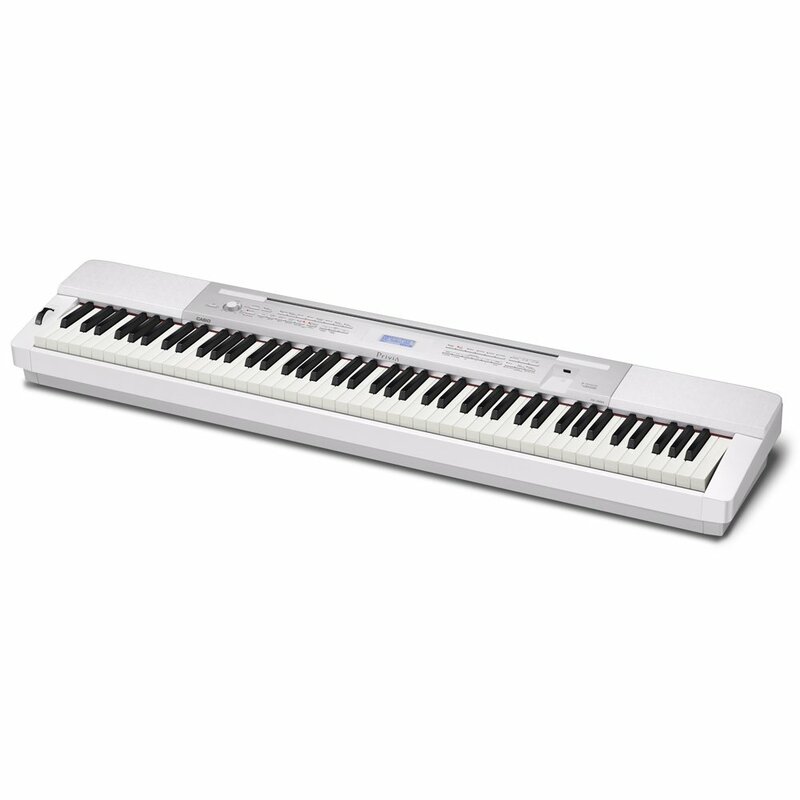 Similar to many other digital pianos in the price range, the PX5S has a weakness in its organ options – the lack of high-quality realism. Of course, it still works well though it does not include piano, clav, and percussion sound sets. It is noticeable the seamless and natural sounds when transiting the note to note. The entire transition is no abrupt or awkward in the range of the keyboard. We have to admit that the Casio PX5S has impressive synth capacities. As with many previous Casio models, it provides the technology to users to create the customizable hex layers as expected. So, what are hex layers? – They are a single tone made from 6 various samples. These layers involve splitting or stacking samples, so you always have one more than options when creating the layers as well as applying different envelopes and filters to every sample component of the hex layer. All in all, the musicians can also utilize two hex layers simultaneously. Another outstanding feature from the Casio PX5S is zone controlling. Honestly, when mentioning this characteristic, the Casio overcomes many brands. It has all 4 knobs and 6 sliders. You might control an internal sound, effects parameters, and more based on the adjustments in the configurations. By changing the way of stage piano viewing, the PX5S provides strong tones, along with natural filters, programmable arpeggiators, and features for track sequencing. 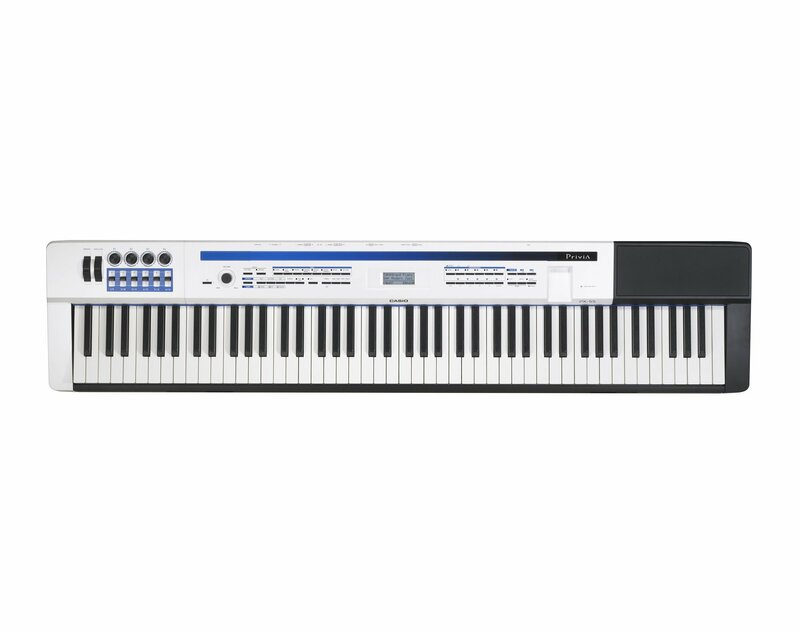 Similar to the digital pianos, the PX5S from Casio equips a USB port. The purpose is to support users’ demand, recording, transferring sounds from keyboard to their computer. The Casio especially takes the transferred quality into consideration, so they select .WAV format to save files, instead of using another format. This format can keep the files uncompressed and preserve their quality. You can even use transfer in the opposite direction. This means that .WAV files can be transferred from the computer and then played back on the PX5S piano. Similarly, the manufacturer enables users to customize their performance in a professional grade. The Casio only builds the PX5S in 32.5 pounds. Being the lightest digital keyboard, you are easy to move and play this instrument anywhere. Apart from plugging in outlets, you can also use battery power to run this keyboard in case you are playing in the location where does not have electrical outlets. The PX5S’s ability to set the stage is great. You do not meet any difficulty when moving the different sound combinations. The maximum has up to 10 banks of settings so that you may filter. The banks of settings both control the sounds for an external MIDI device, the keyboard itself, or even both. Don’t stop! There is the data manager software so that you can use for different purposes such as adding, removing, or making adjustments to the group of settings. People like to compare this thing to another one when shopping for anything. Simply, they want to choose the best product as possible. And here are our comparisons between the Casio PX5S and other instruments. 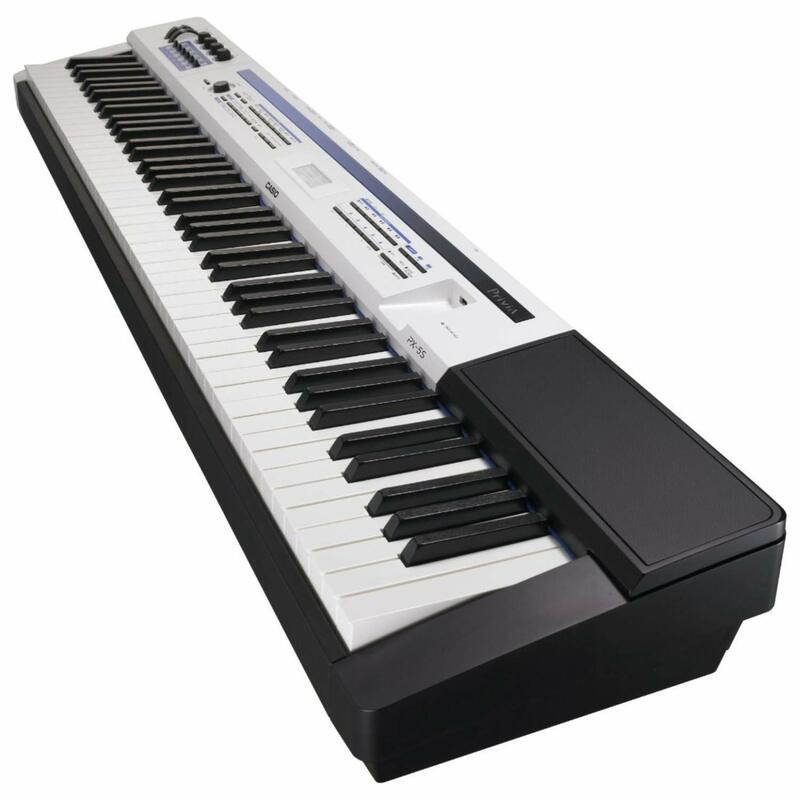 When mentioning the Casio PX5S and Korg Kross, the piano players can see a lot of similarities. The first is the same price. They are under $1,000. Both offer phenomenal capacities in this price range. The keyboard construction is 88-key fully weighted hammer action graded profession key bats on both. With the Casio, it is 24 pounds, so you can carry it under one arm. The Korg is only 27 pounds and you can also carry this under one arm. Another unique feature of both is to run on penlight batteries. The Casio PX5S runs on 8 penlight batteries while the Korg is on 6 pin light batteries. 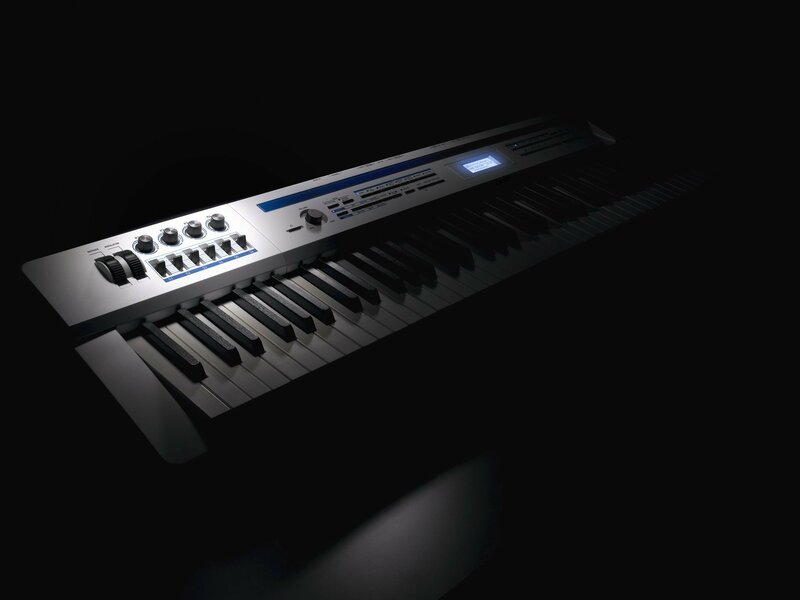 Yes, we never doubt about the reliability of both, but there are features that make the Korg look different from the PX5S. What are their differences? – It starts with sounds. Admittedly, the Korg produces a perfect range of sounds; however, if compared to the PX5S, the Korg’s professional level is worse. The weighted keyboard is the same, but the Korg has a couple of minor response problems. You need to strike down long before a key sounds actually. Even though the Korg includes plenty of customizable options, these options are difficult to access in the middle of a performance. So, Casio PX5S is still better. 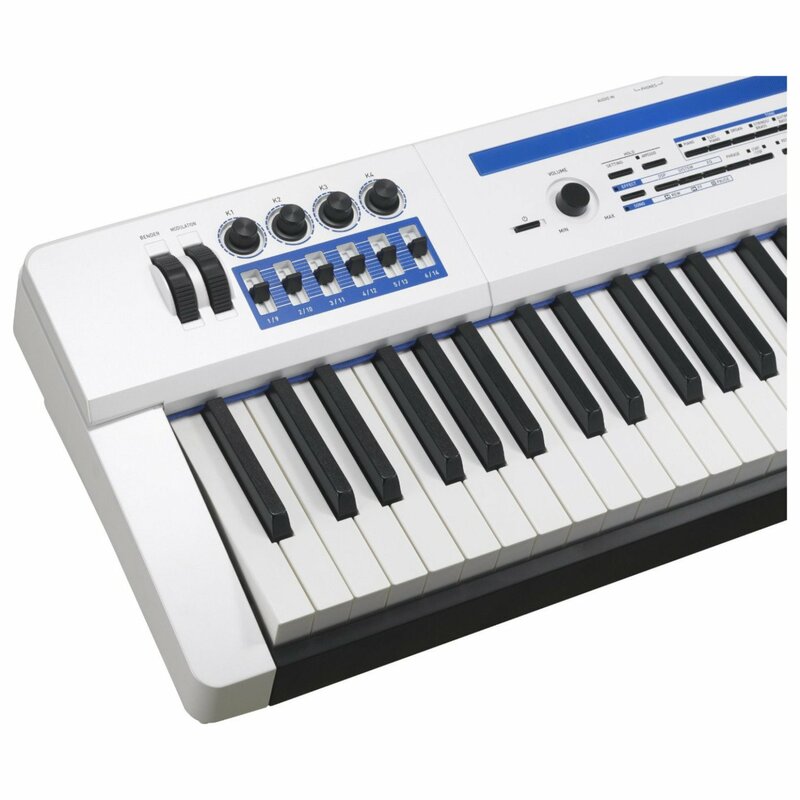 View from different angles, the Casio PX5S has more dominant features than the Korg. So, its price is more expensive. How? Do you choose an affordable piano or a quality one in the price range? The Px350 has a black plastic case, along with the white lettering above all the buttons knobs while the PX5S is in the white plastic case with the black lettering. For this feature, we highly appreciate the PX5S because it is much easier to read than the PX350. The next, we go over to keyboard on each one of these. Both construct 88-note Tri-Sensor Scaled Hammer Action II Keyboard. Their button layout is identical; however, the button functions are different. The PX350 has the case design, but the PX5S does not have the redesigned case. We continue with a major difference in the PX350. There are output speakers that allow you to take it anywhere. You comfortably plug it in to start playing after you set to go. With the PX5S, it does not include apps and speakers. You need to plug it into an external amplifier and speakers. Instead of that, the PX5S has given a lot of more controllers, 4 knobs and 6 sliders. The PX350 is a good choice if you have an apartment or if you have limited funds. It is cheaper than the PX5S. But, if you are learning to play the piano, the PX5S is probably a better choice. Q: How should you keep the keys clean on the PX5S? As far as we know, you can use a soft cloth to clean the keys on the PX5S if there is a mark. You only spray the cleaner on the towel and remove any stain. Remember not to directly apply the detergent to the keyboard. To avoid making the keyboard dirt and dust, you ought to wash your hands and let them dry before playing and cover the keyboard when not using. Q: How is the warranty on the PX5S? You will get one year in warranty and 2 years when registering your purchase online in the United State. Q: Can you utilize mono output instead of stereo? Possibly, the PX5S can sound good when you use this way, but it can bring undesired results in case you use a couple of stereo effects. Q: Can you utilize the audio input on the back to connect a microphone? The answer is “No” because microphone levels are not high enough for the line-level inputs, not including a preamp. Q: Which USB port do you use, the front or the back? The front port is for USB drivers and the rear port is to connect the PX5S to your computer. For the jingles, music composers, or personal projects, the PX5S is valuable in the price range under $1000. Either brand loyalists or purists will likely feel it not being their optimal selection, but this is a quality instrument in the long run. It can even make the discerning musician satisfied. The PX5S brings good feel, sounds well, and provides the essential features that you can only find on the instruments three times price. How? Is our Casio PX5S review helpful for your choice?